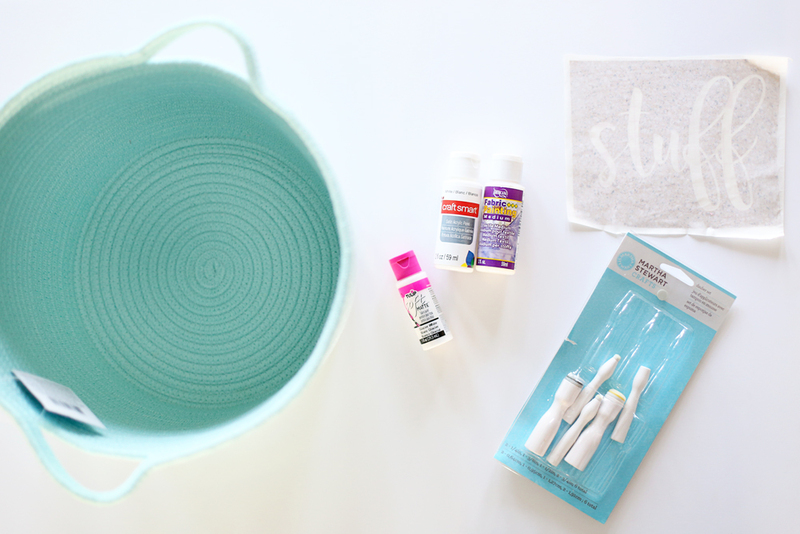 When you love crafts, you just love adding DIY touches to everything. 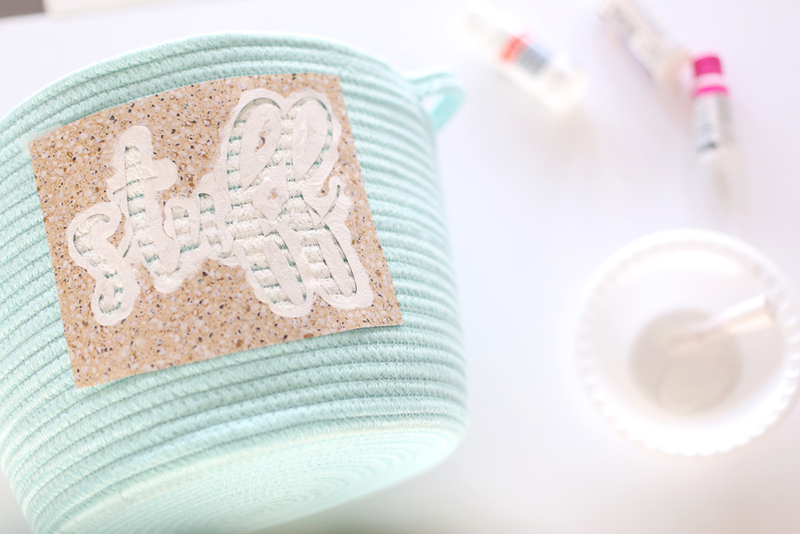 I picked up this super cute fabric basket, but the crafter in me wanted just a little more 😉 I thought it would be perfect with a stenciled label, and so today I am going to show you how to make a DIY Stenciled Fabric Basket. 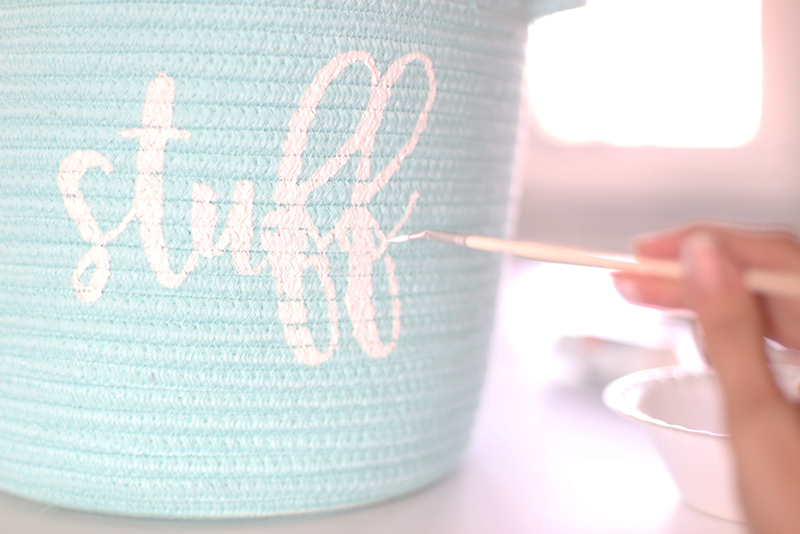 I wanted mine to say “STUFF” because that’s what we have a lot of 😉 – but you can make yours say anything, or even just do a stenciled image like a flower, etc – I’d love to hear what you stencil onto your basket. So fun to see it come together! My stencil is a custom one – I made it with my Silhouette Cameo. You can also use store-bought stencils. You’ll want to look for the kind of stencils that adhere to your project (to make it a little easier). Peel your stencil and carefully place it on your basket. Press it firmly to the basket. Using the dabber sponge brush, you want to “dab” over the stencil. Work in light coats. Be careful not to let the paint seep under the stencil. Remove the stencil. It won’t be perfect -that’s okay! Grab a small paint brush and work on filling in detailed areas. 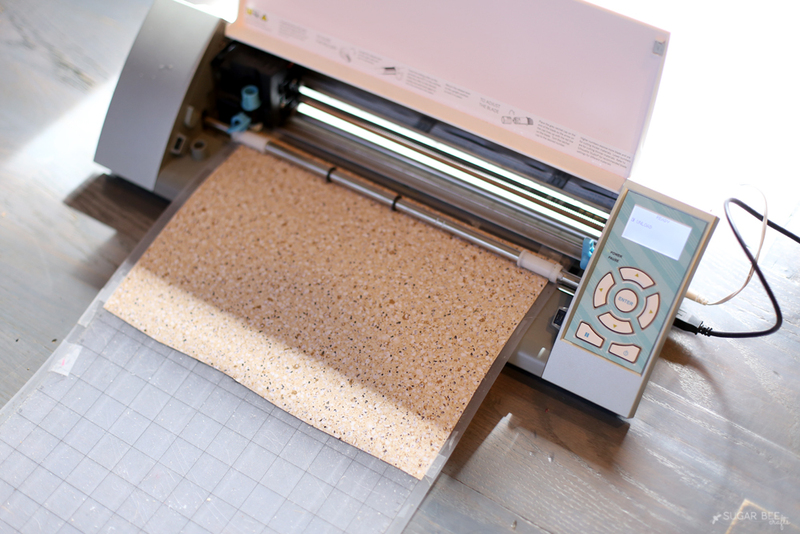 The stencil will have shown you the outline, and now you can work on filling that in and getting a nice solid stencil. Voila! 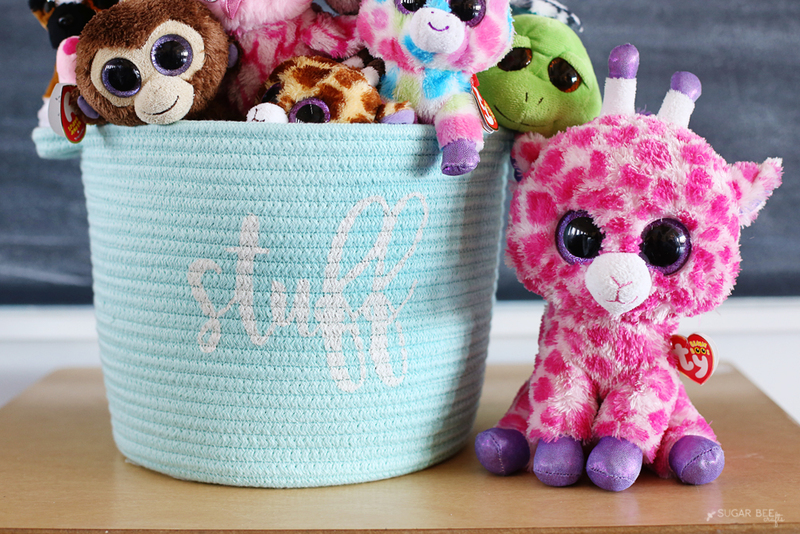 Let dry and then your cute basket is ready for use. You can see the detail of the stencil and how it didn’t bleed because I did the detail work with a small brush AFTER I took the stencil off. 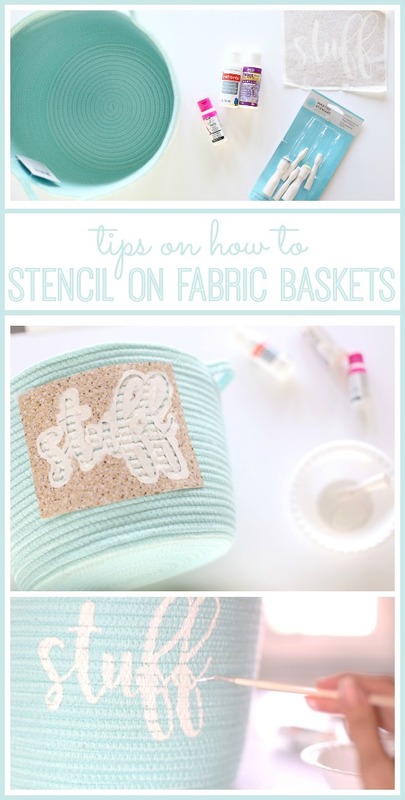 Enjoy making your own DIY Stenciled Fabric Basket! 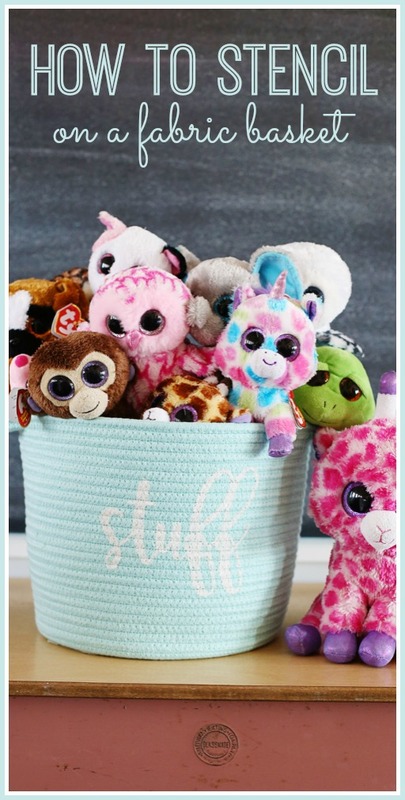 Do you have a link for the mint basket? I love it! Thanks for the tutorial! 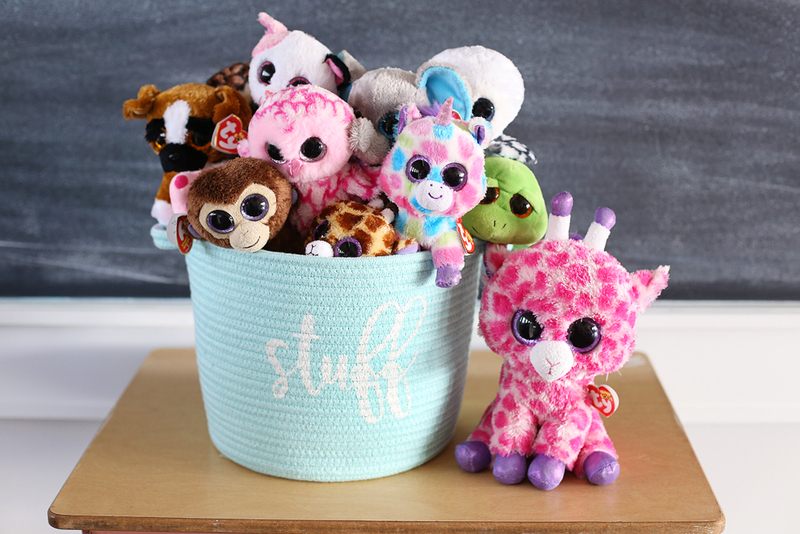 I found it in-store at my Michaels – I’ll try and find an online link for ya! 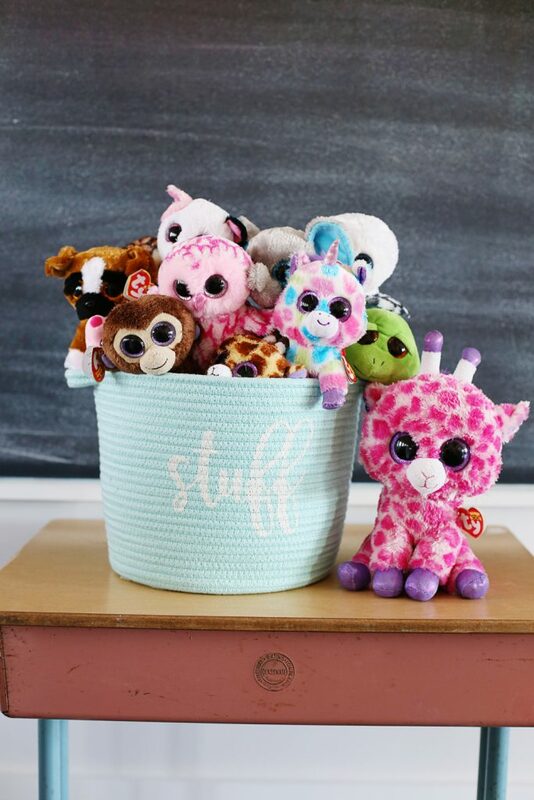 Such a great storage idea. I love it!